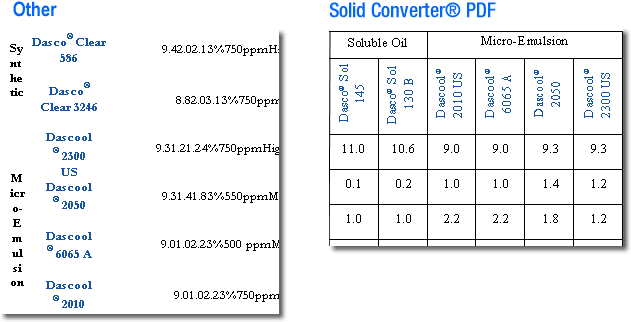 The Tips & Tricks below are intended to help you get the most out of Solid Converter. 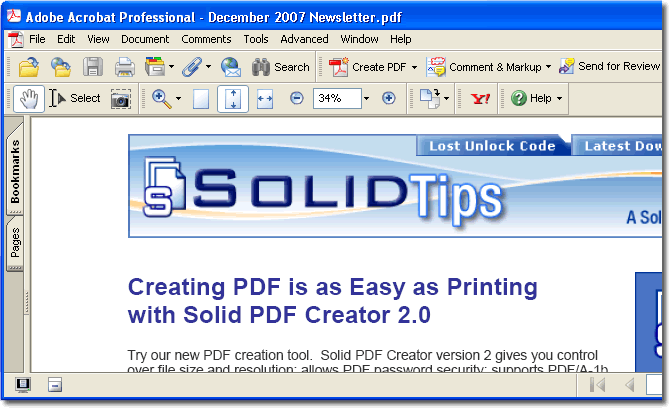 Tips and Tricks give assistance on specific issues, provide education about topics relating to our products, and highlight quicker and easier ways of accomplishing a task. 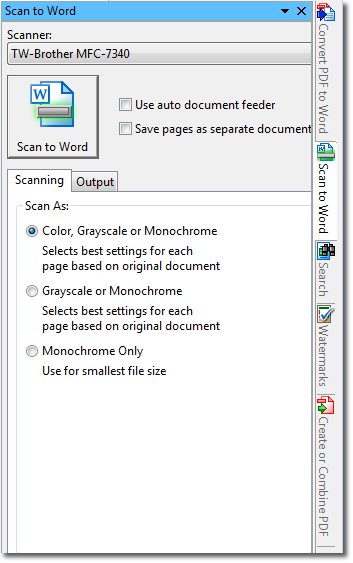 Fine-tuning your output can help you save a substantial amount of time when you're making changes to the document in Word. 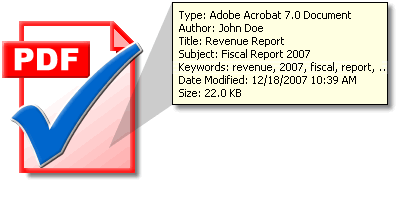 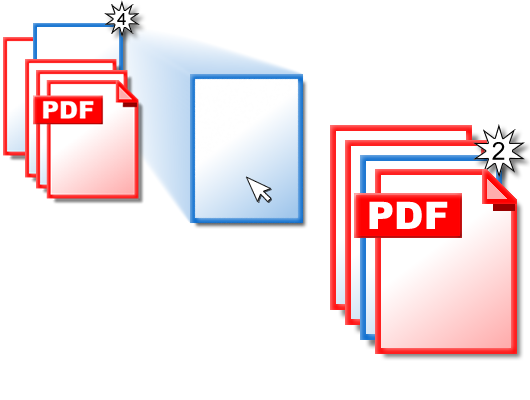 Adding information to a PDF form. 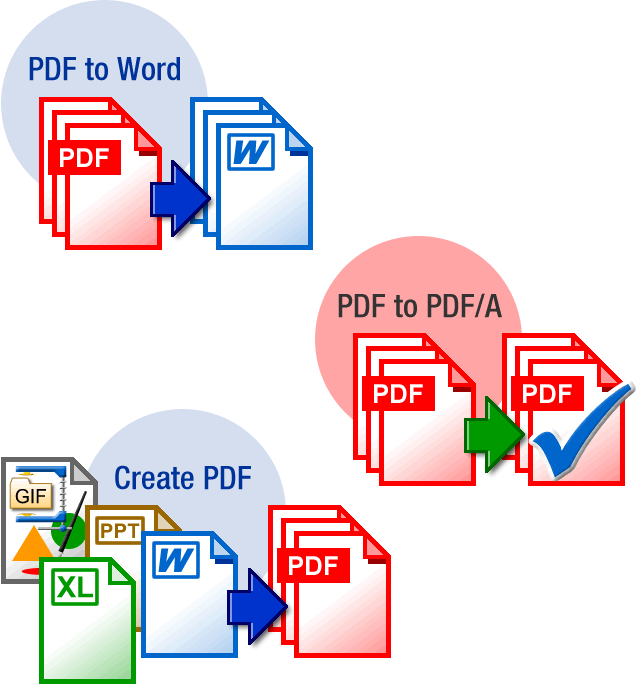 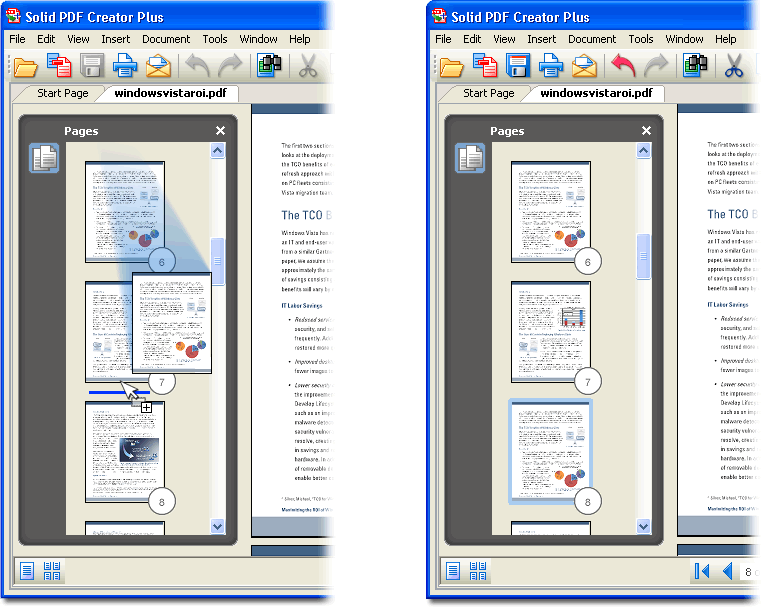 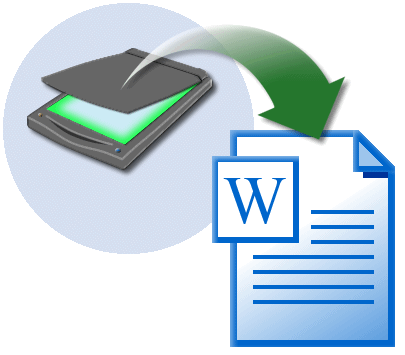 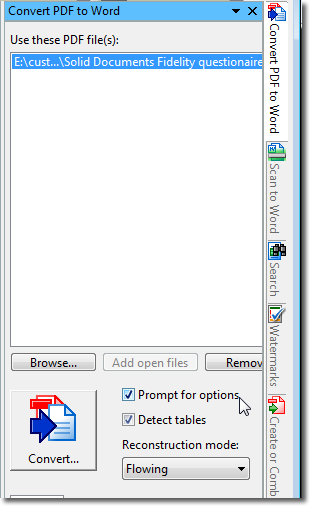 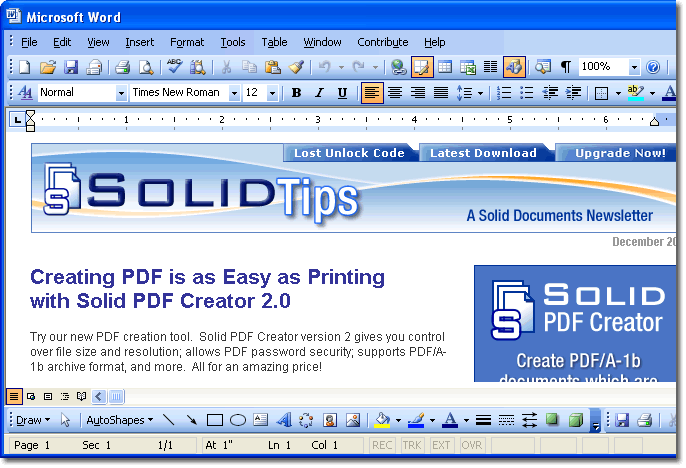 How to create a new PDF file from Microsoft Word (all versions) and other programs (Professional version only). 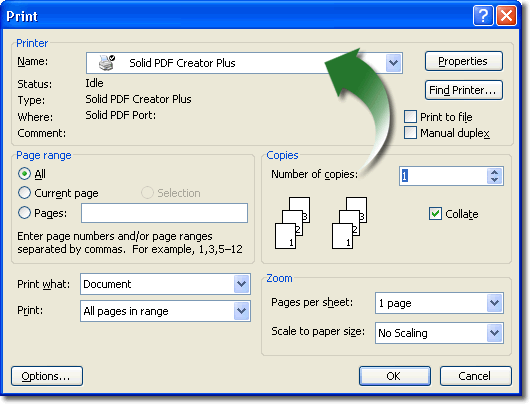 How to set the print area and adjust your page setup. 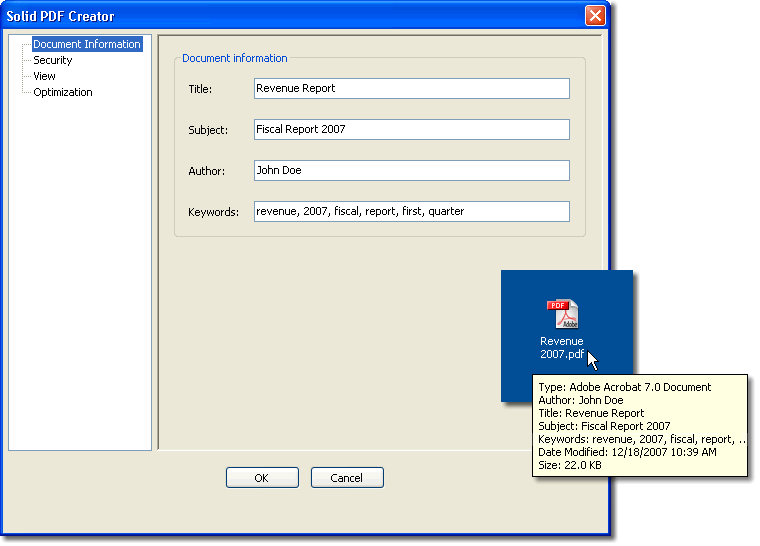 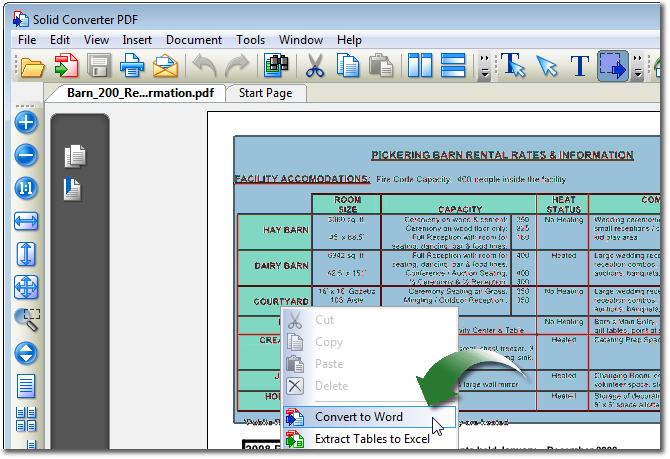 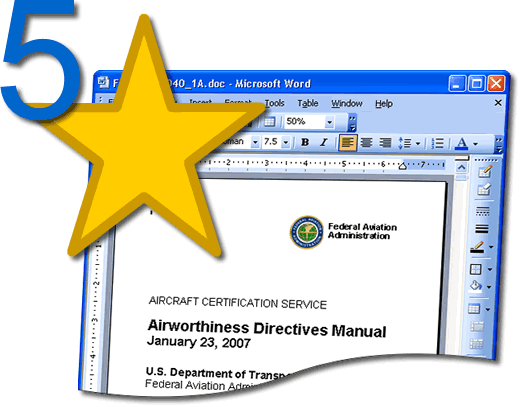 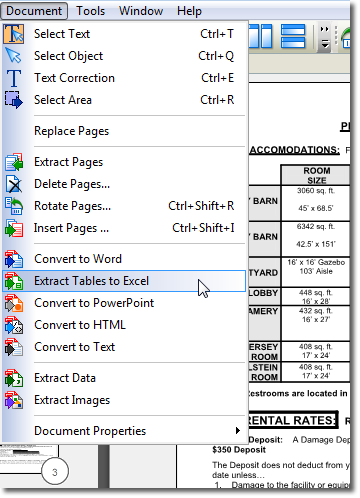 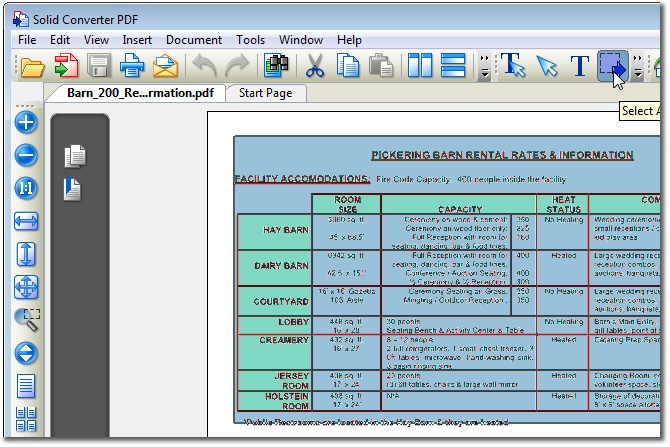 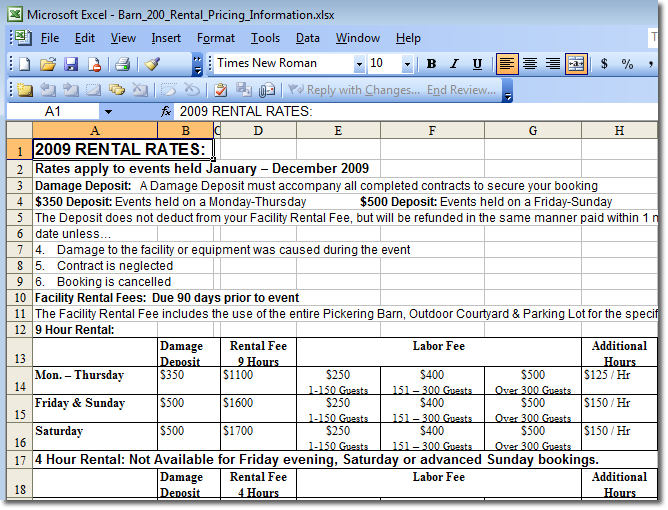 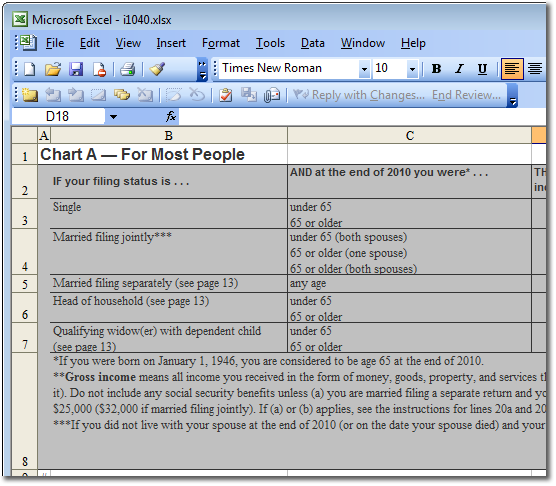 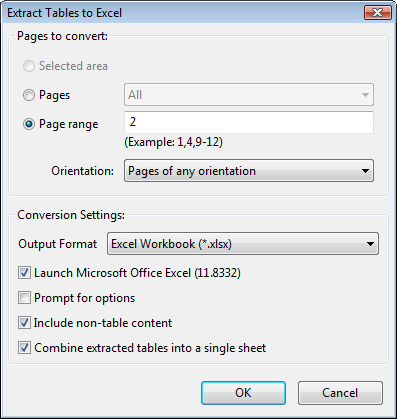 How to extract tables from a PDF file and save them in Microsoft® Excel. 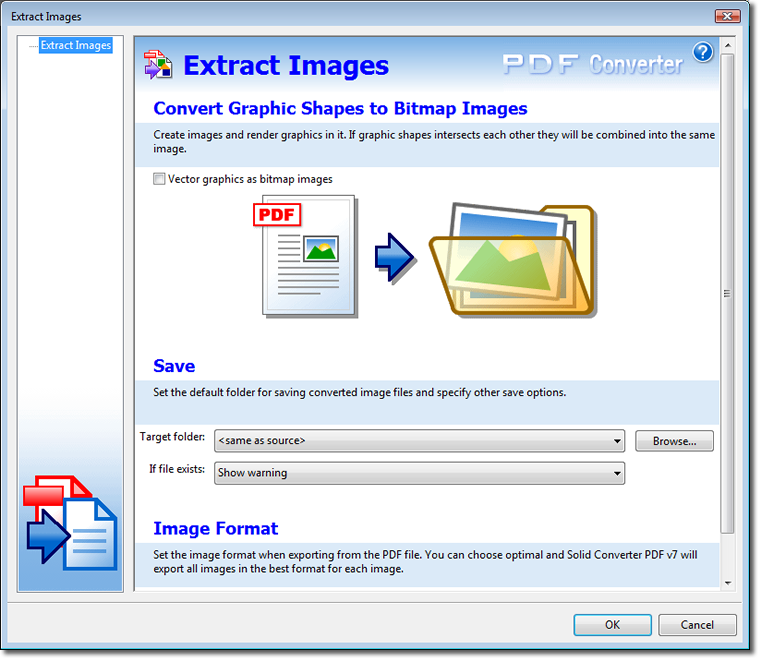 How to release both vector and bitmap images from PDF files so you can reuse them in Excel and other programs. 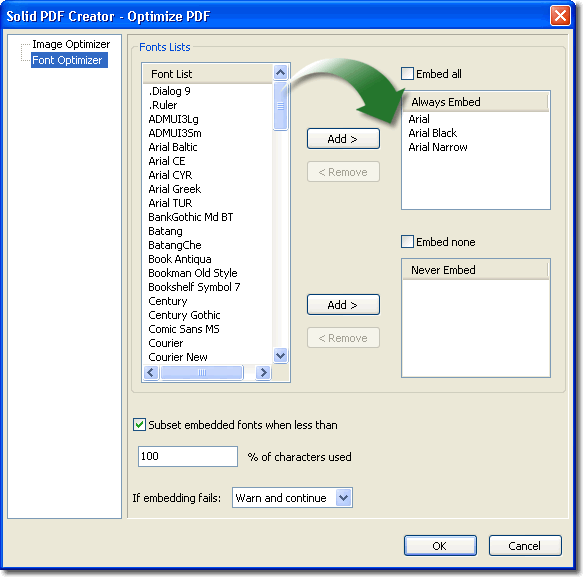 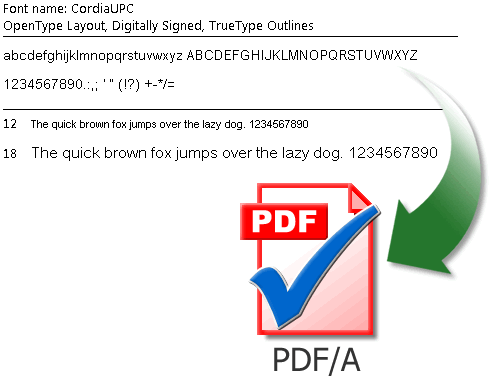 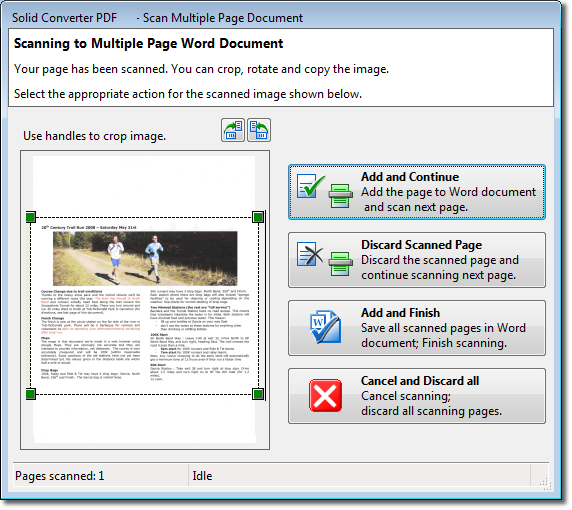 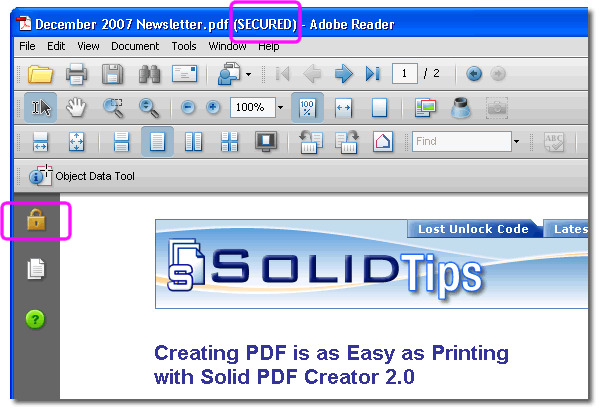 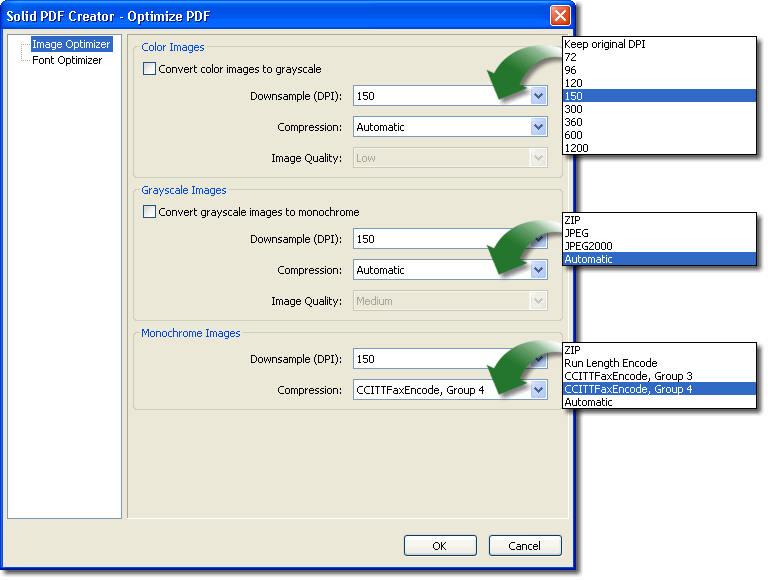 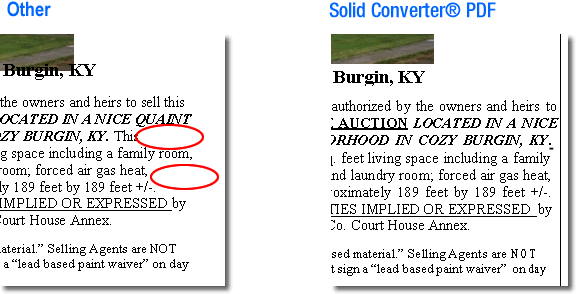 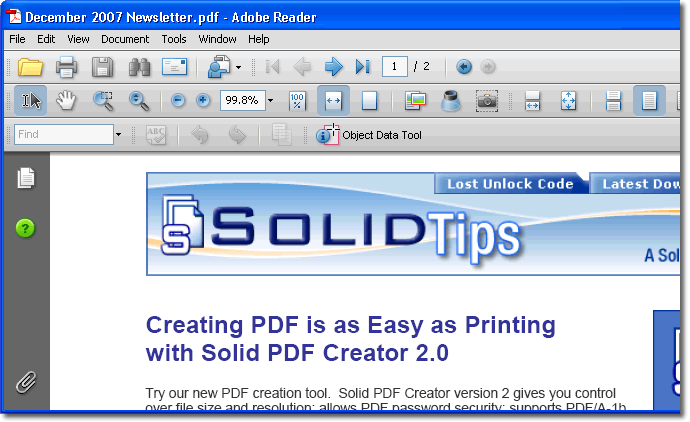 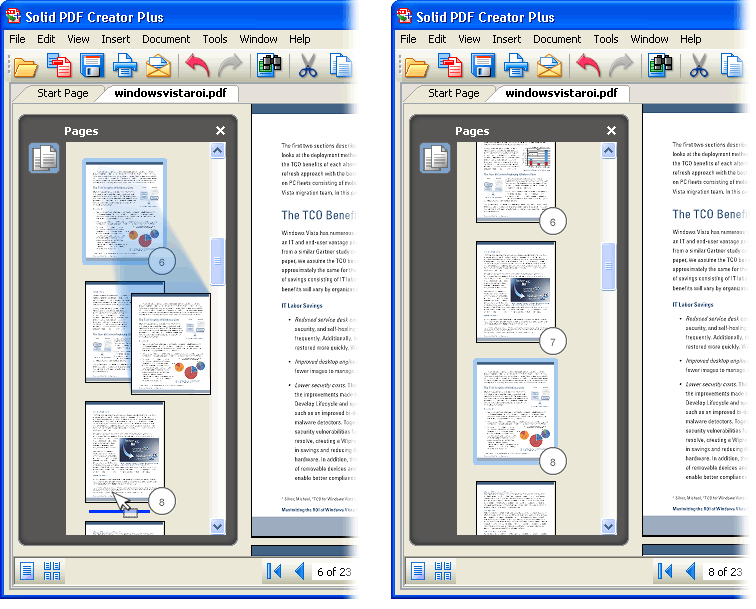 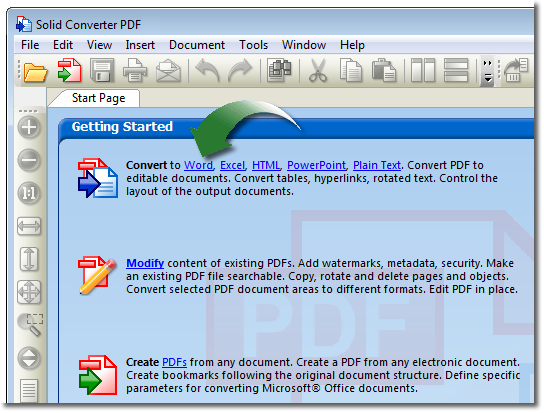 How Solid Converter PDF automatically recovers rotated text. 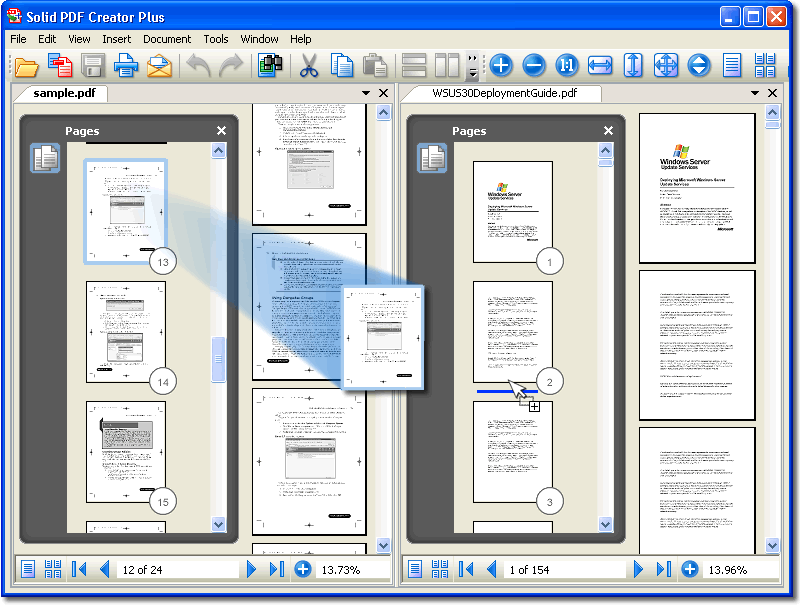 Getting along with your PDFs? 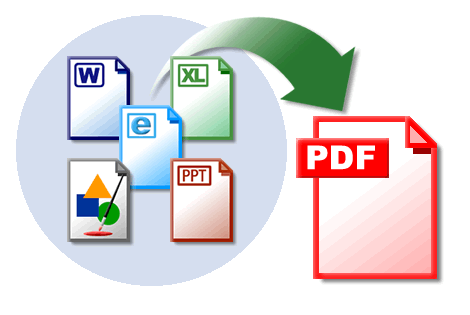 The PDF format is a versatile, flexible format with many uses - tailor PDF output to your needs. 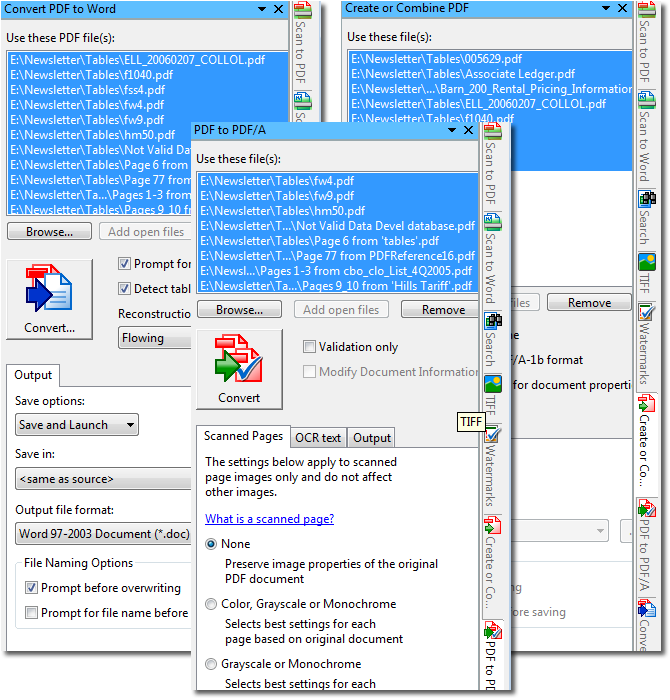 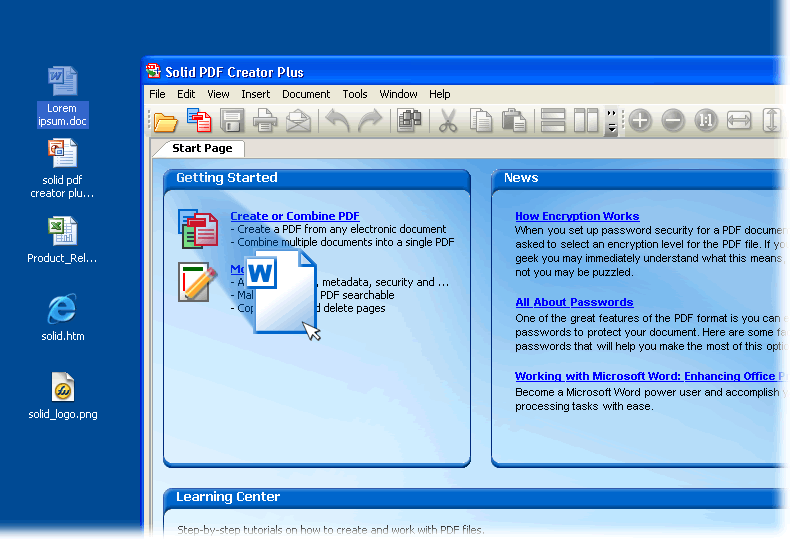 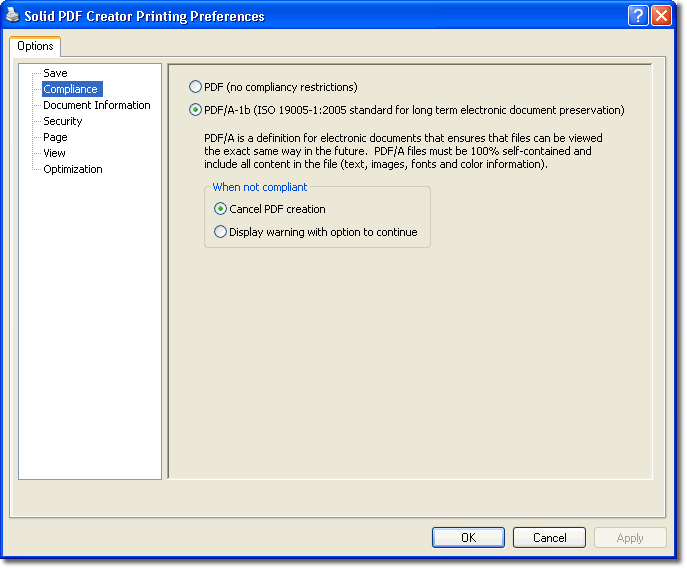 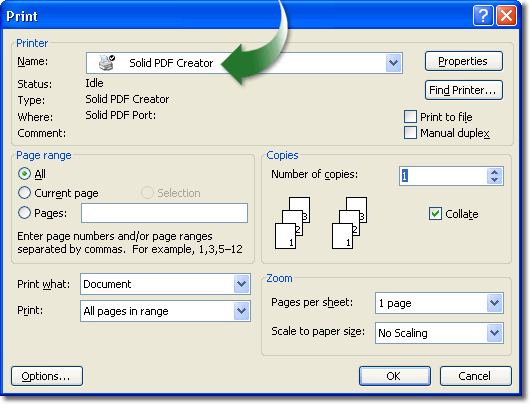 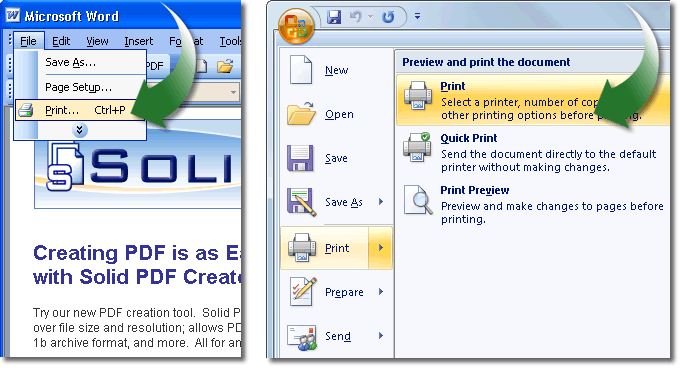 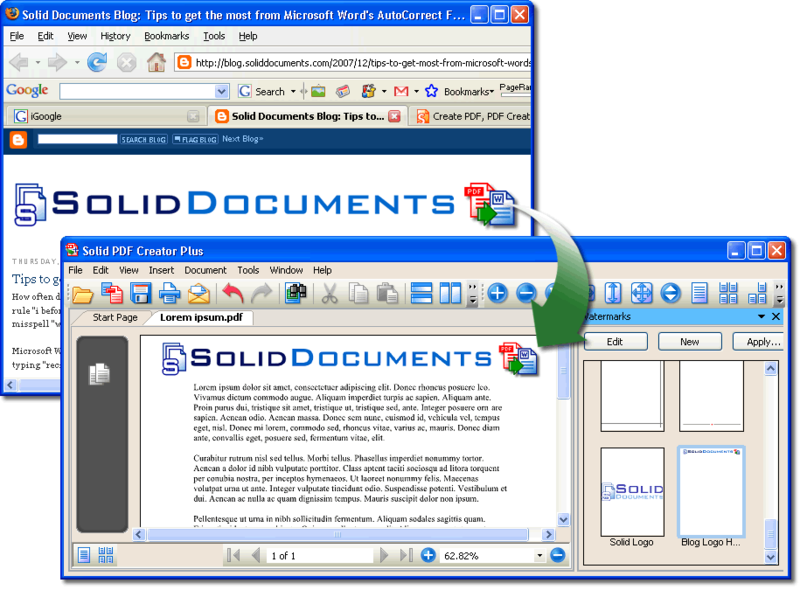 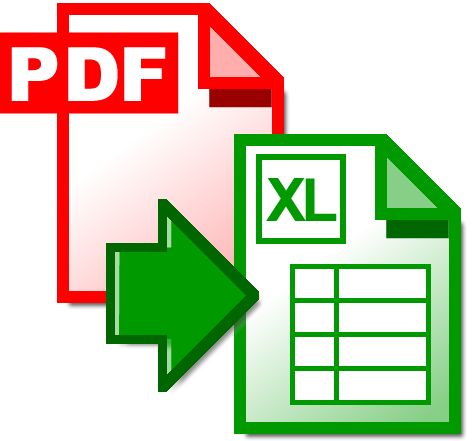 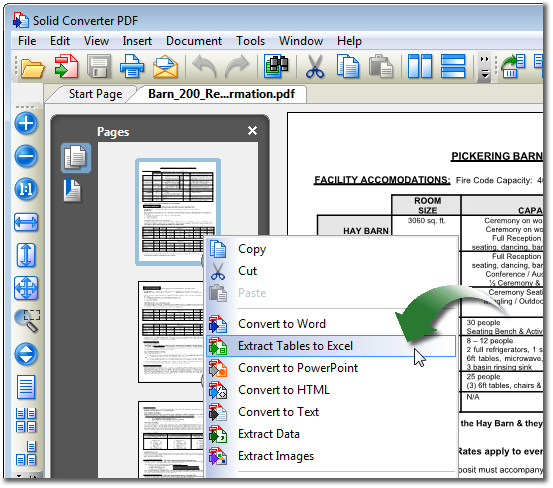 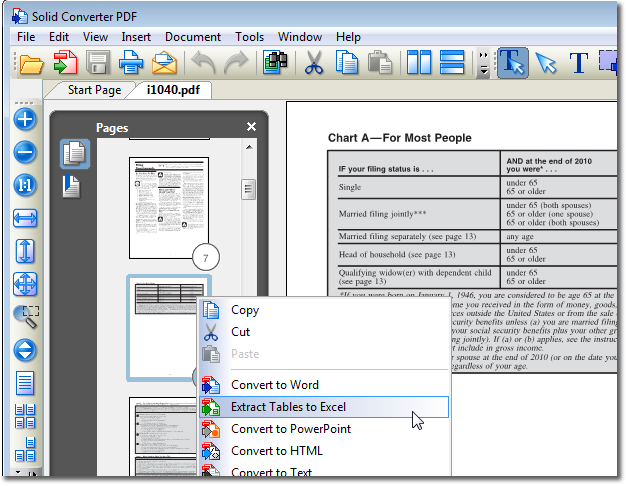 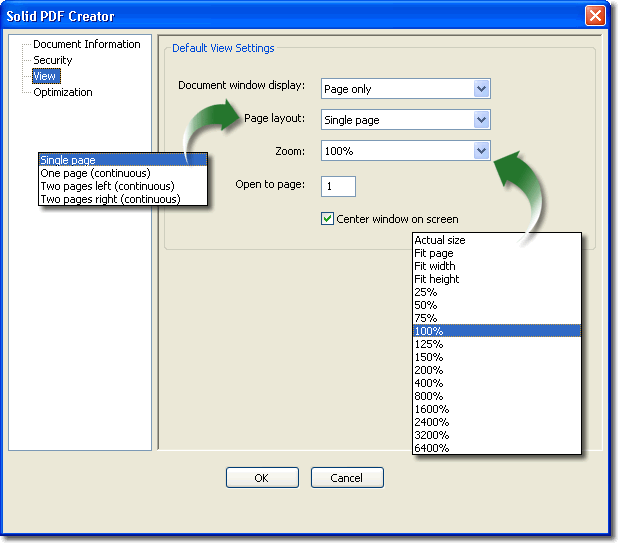 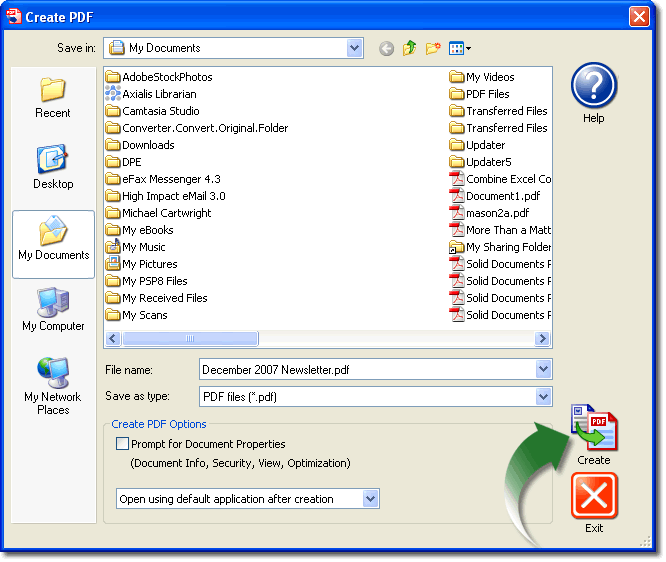 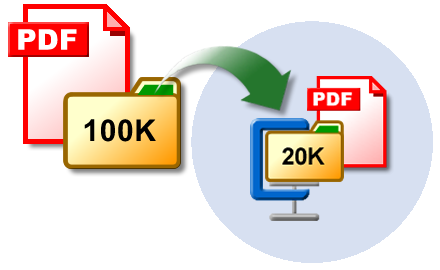 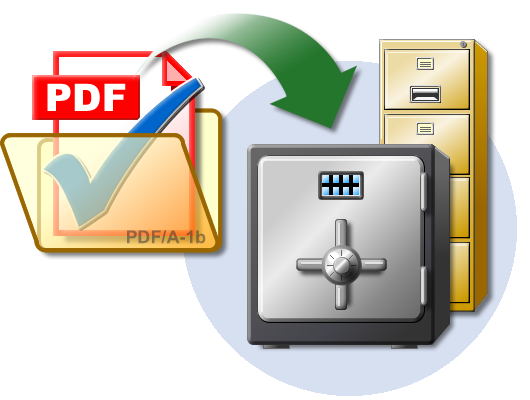 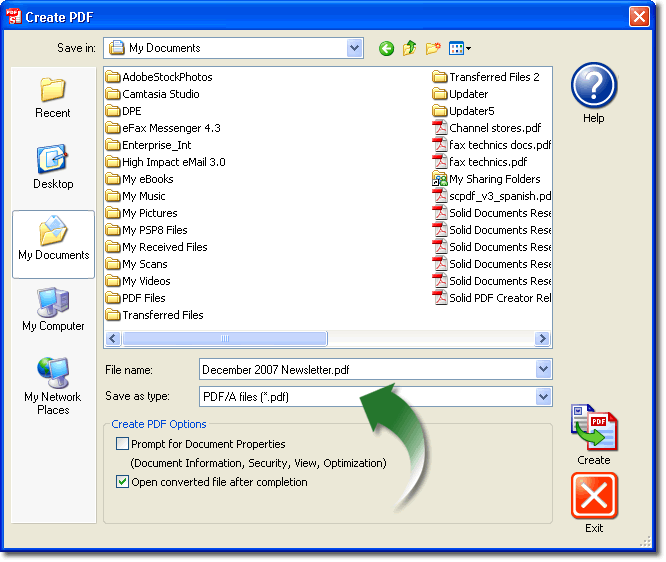 Use Solid Converter® PDF to distill data from PDF files, and recycle that information in Microsoft® Excel®. 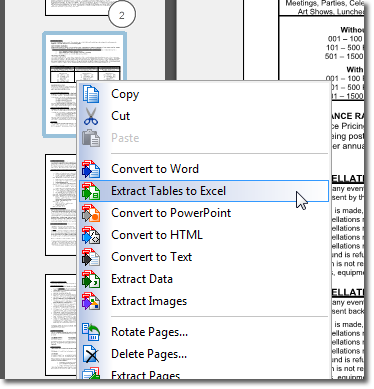 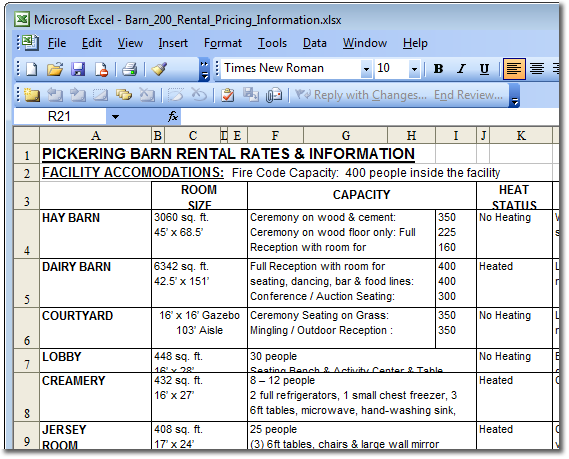 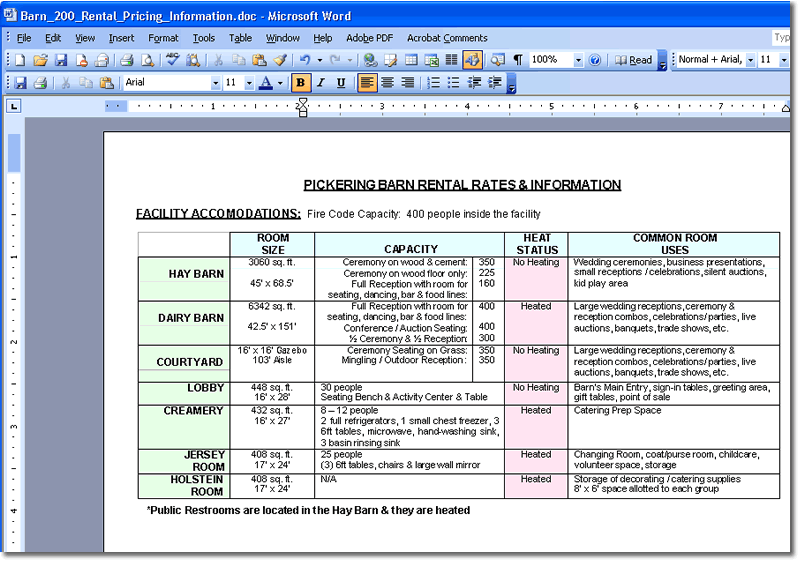 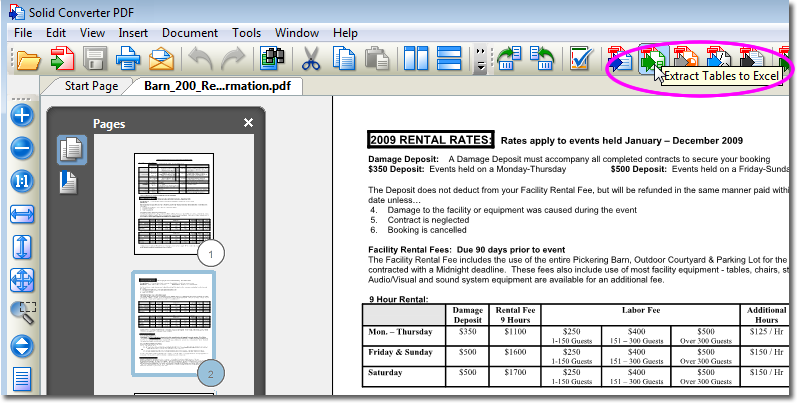 Bring tables from PDF files into Word as Word table objects. 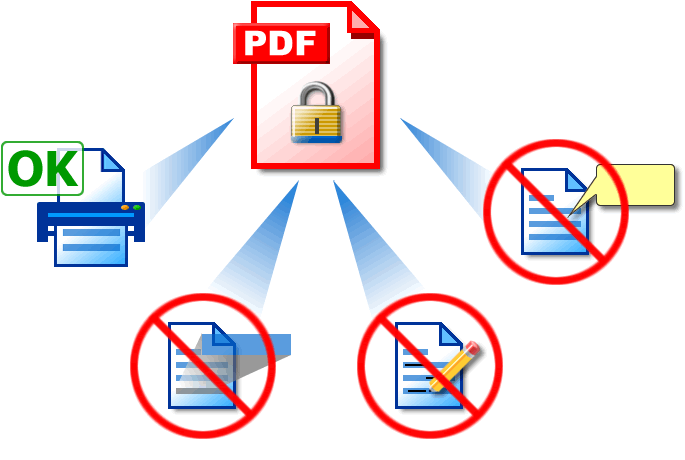 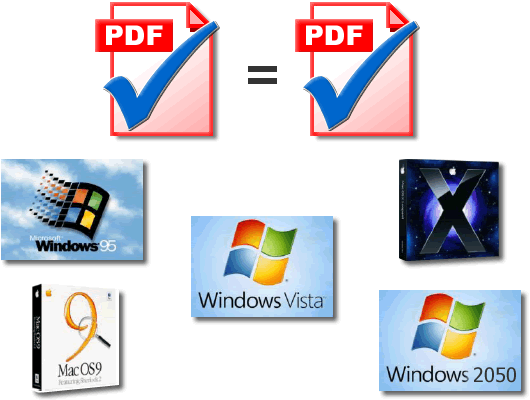 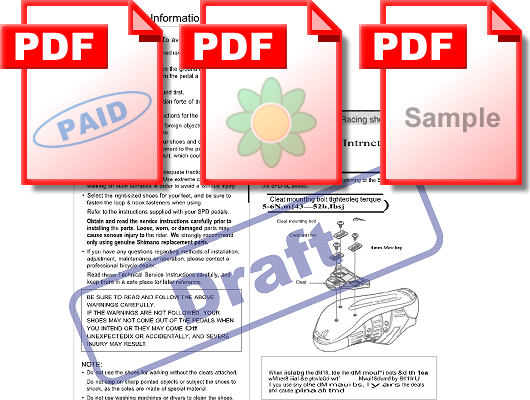 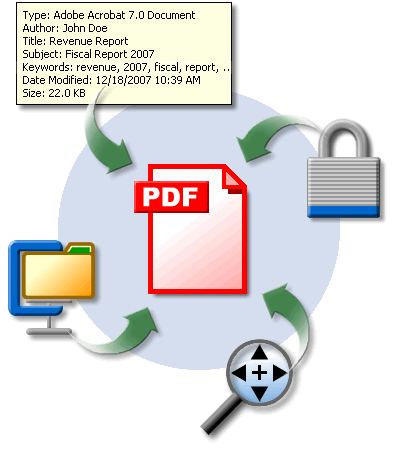 The advantages of using PDF documents. 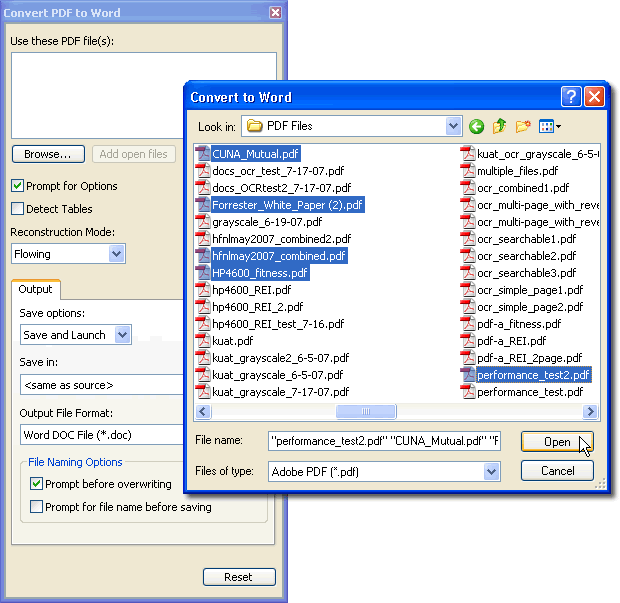 Why Should I Use Rich Text Format (RTF)? 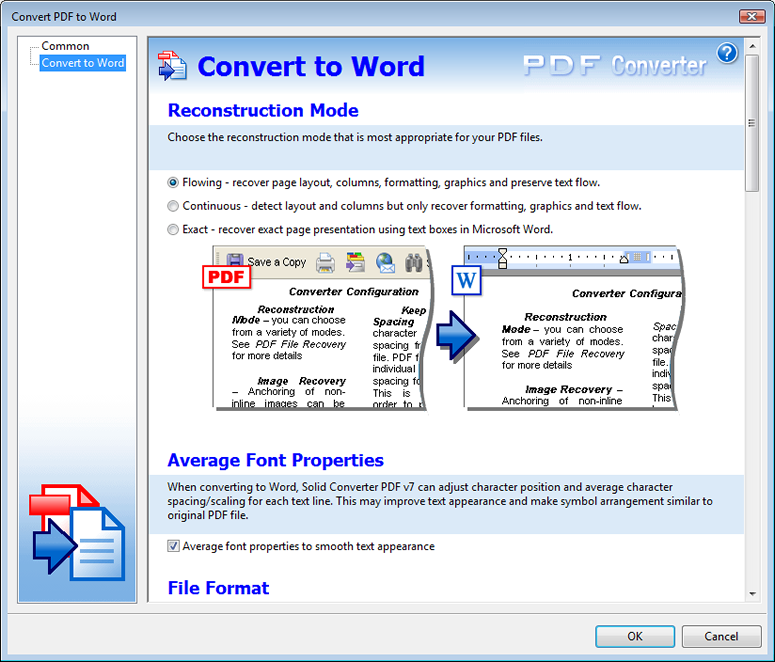 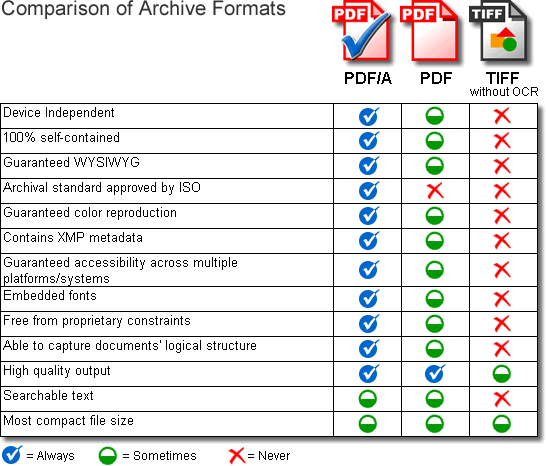 The benefits of using the RTF format when converting files. 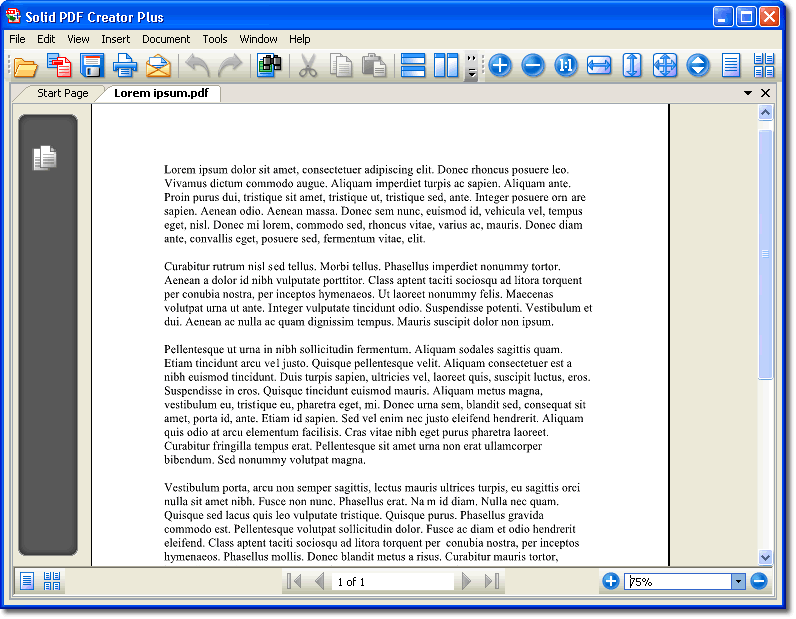 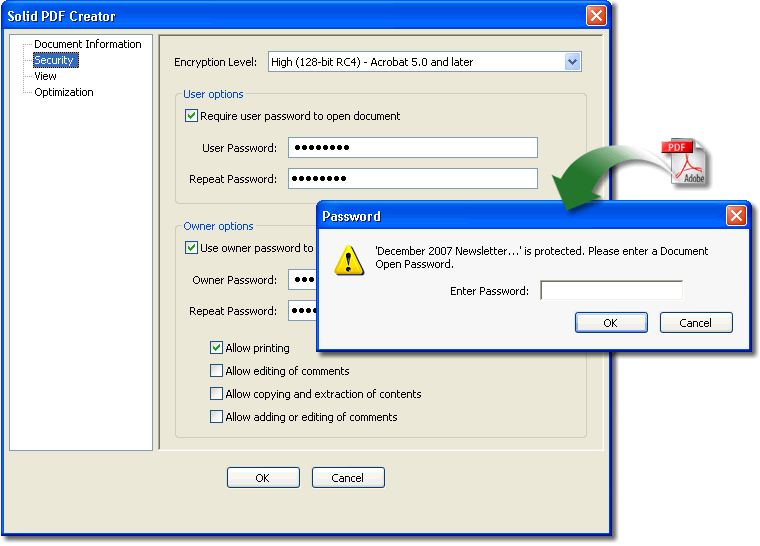 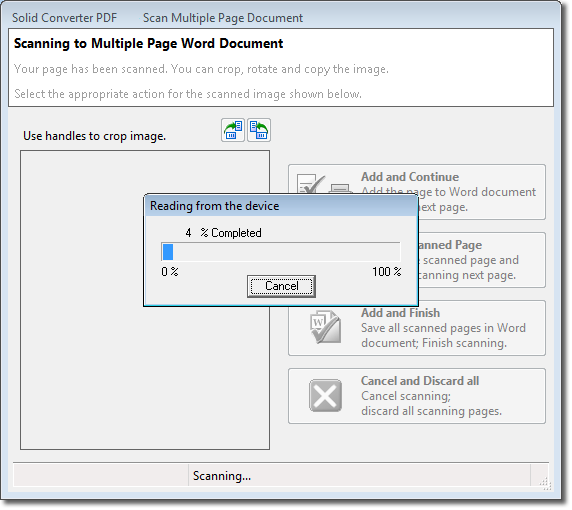 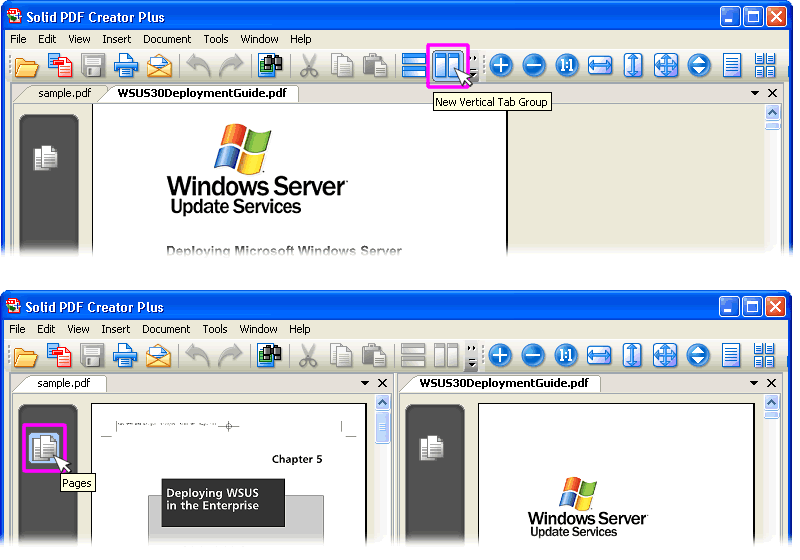 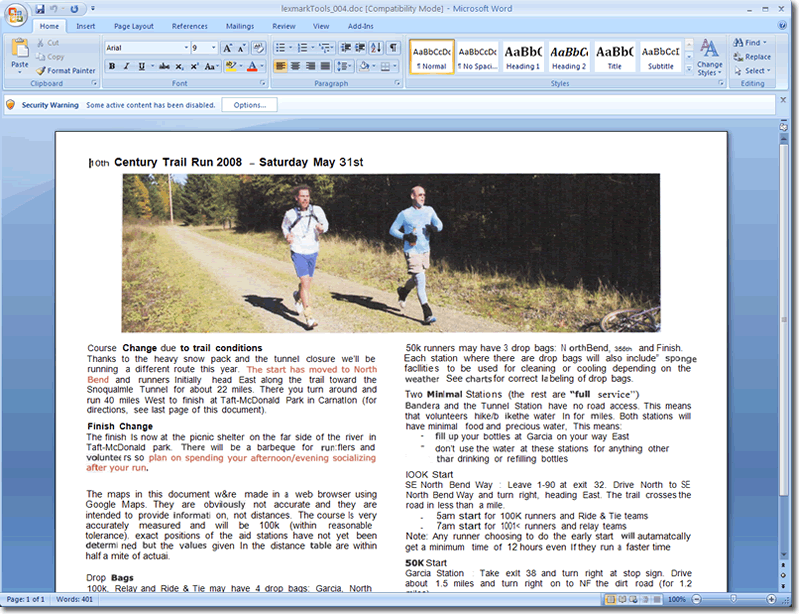 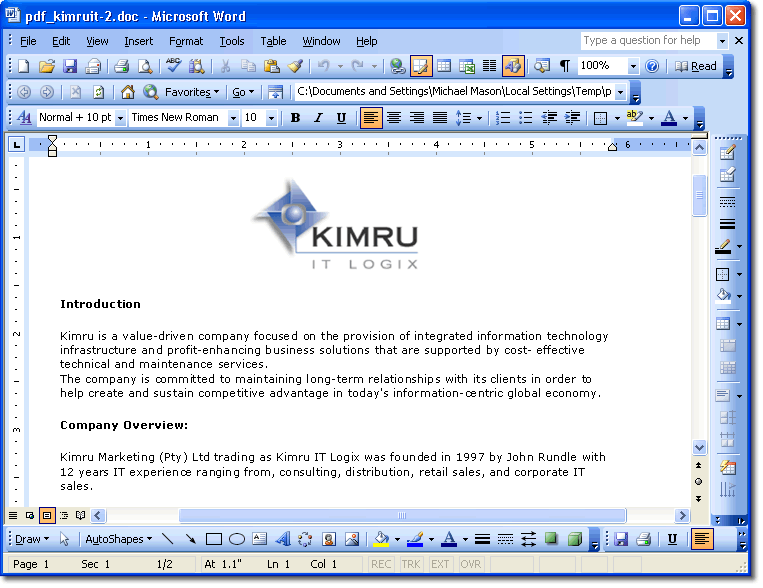 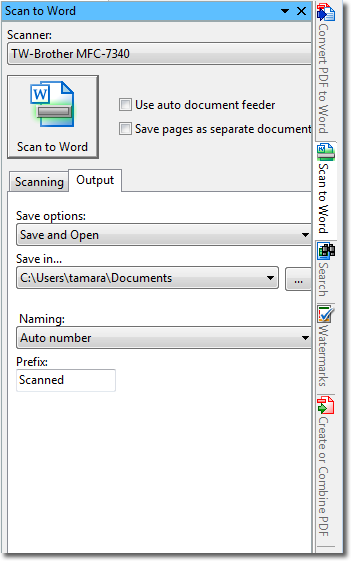 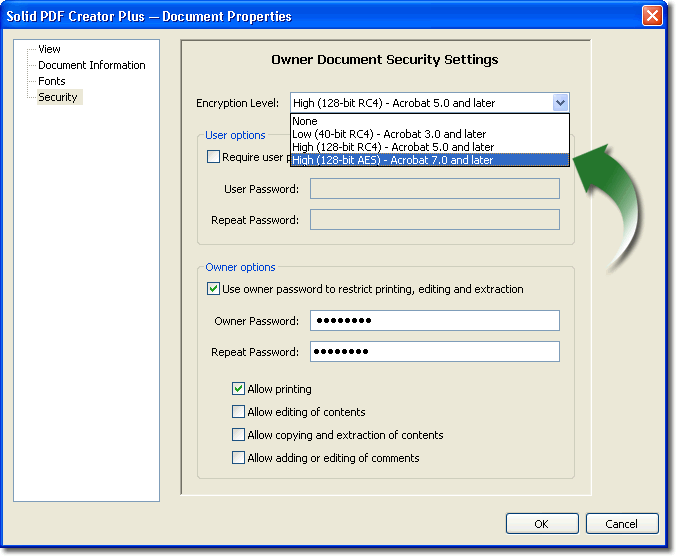 Need to extract text from a scanned document? 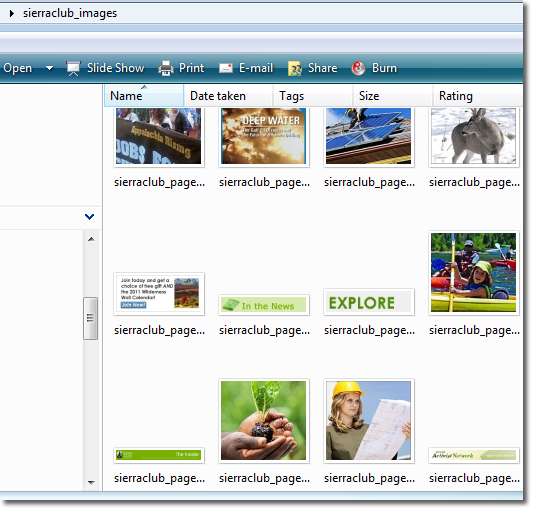 Want to view your pictures easily without having to learn a complicated photo program? 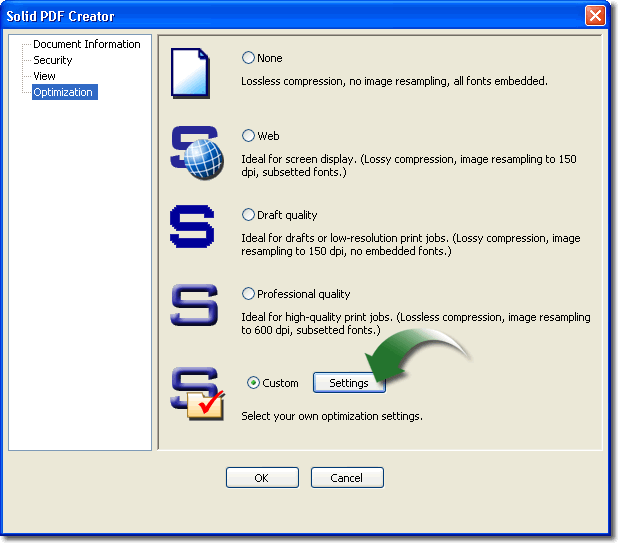 Five ways to improve your PDF savvy and enjoy success with your PDF conversions. 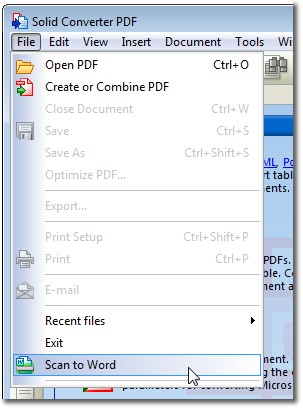 Simply drag and drop. 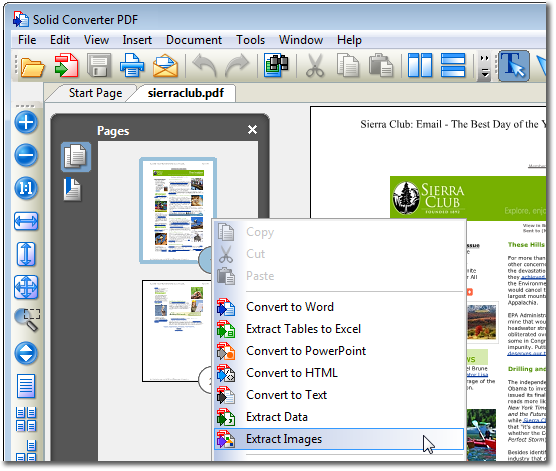 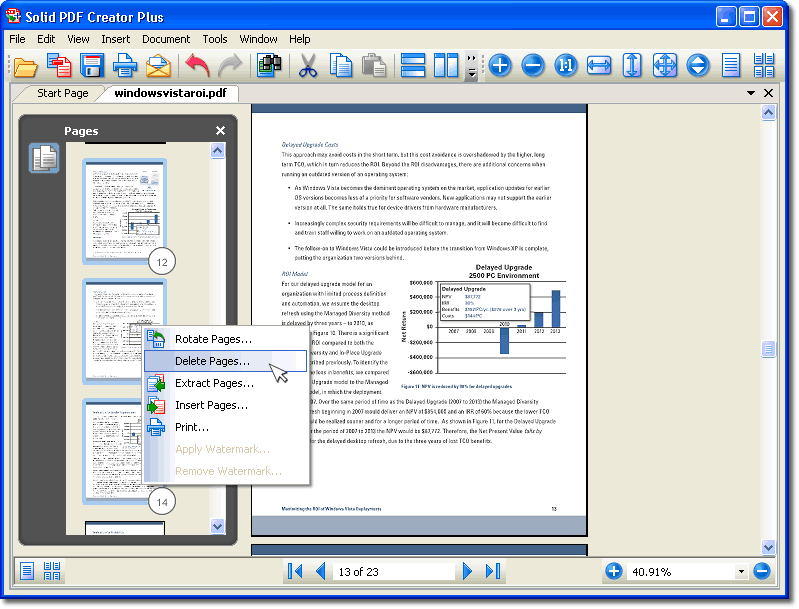 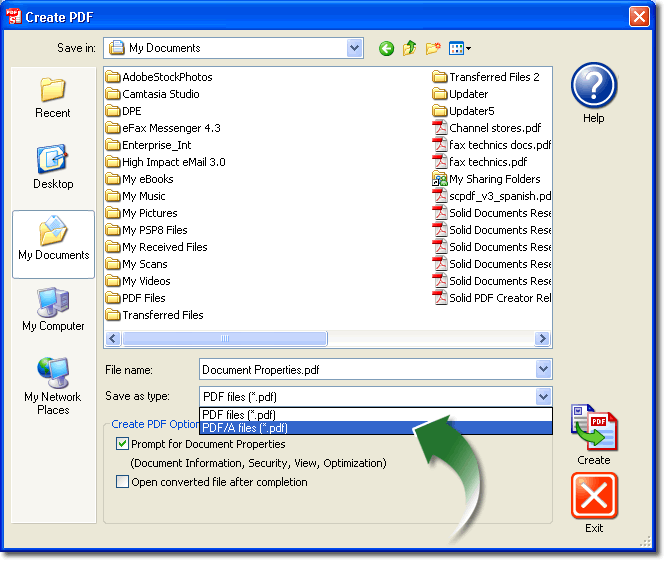 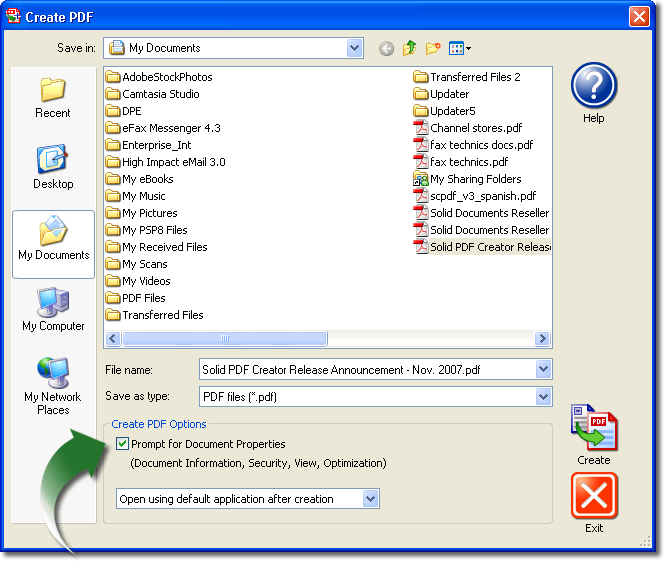 Easily create PDFs from your documents. 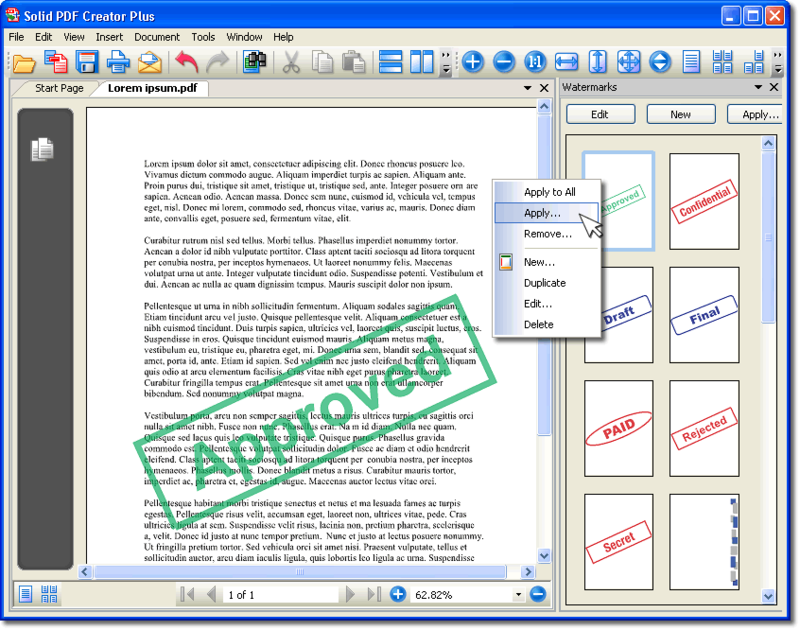 WYSIWYG user interface. 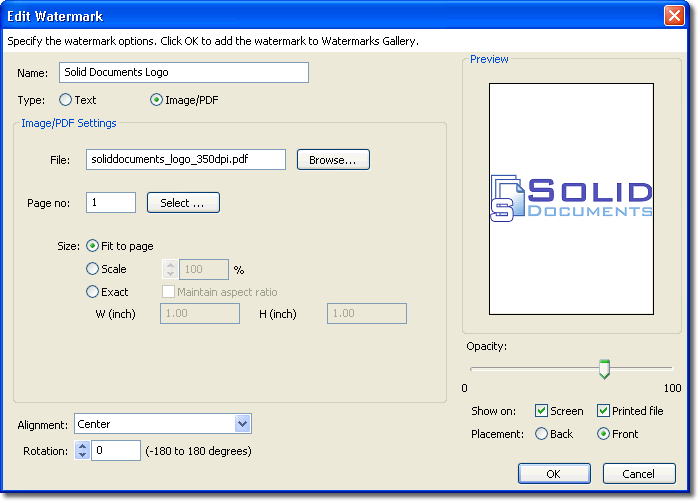 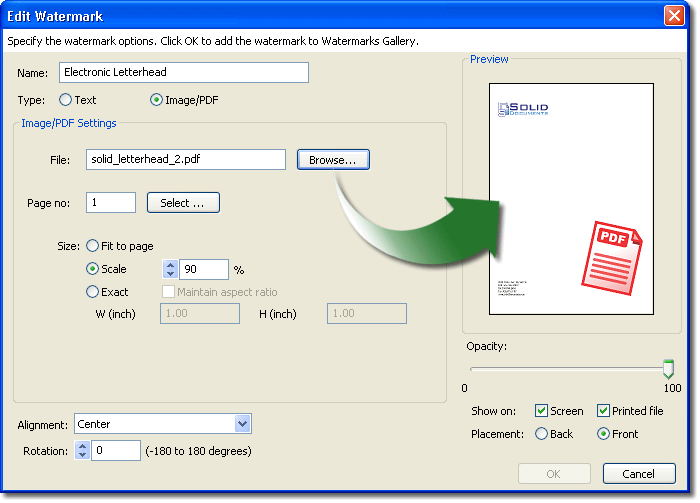 Pre-defined and custom watermarks. 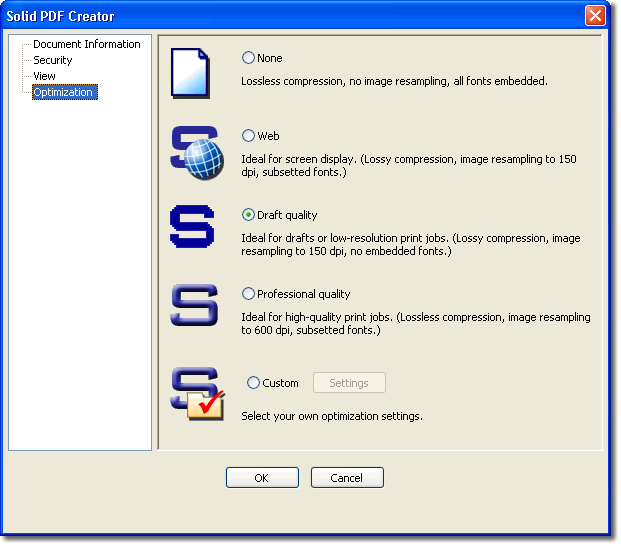 Text stamps, images or PDF overlays. 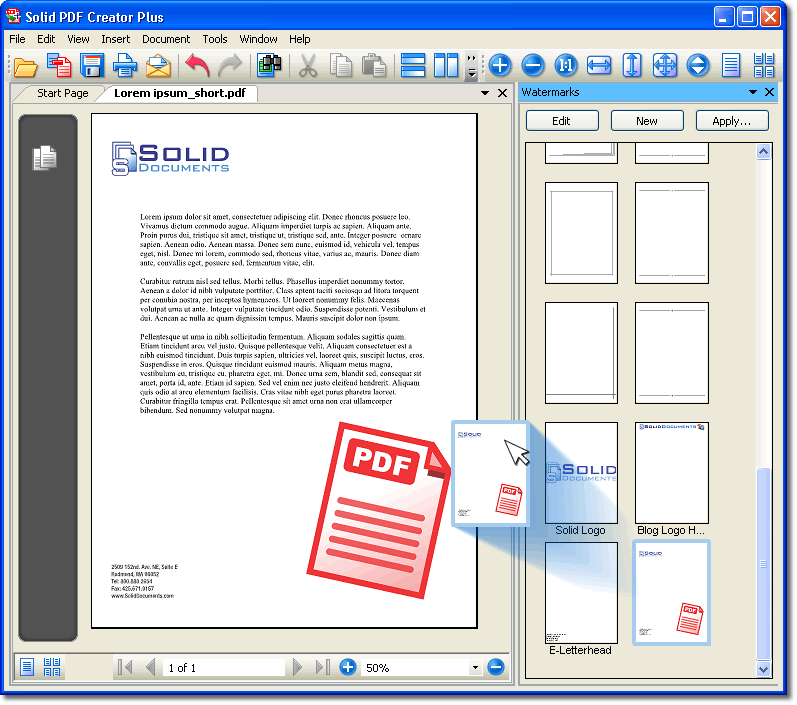 Electronic letterheads. 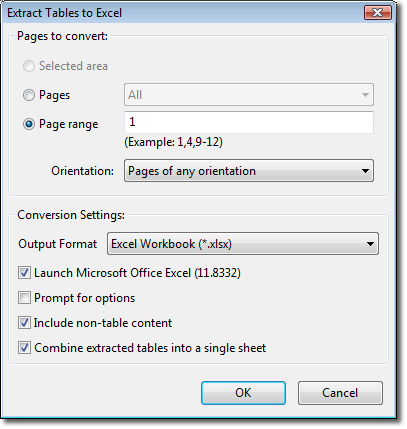 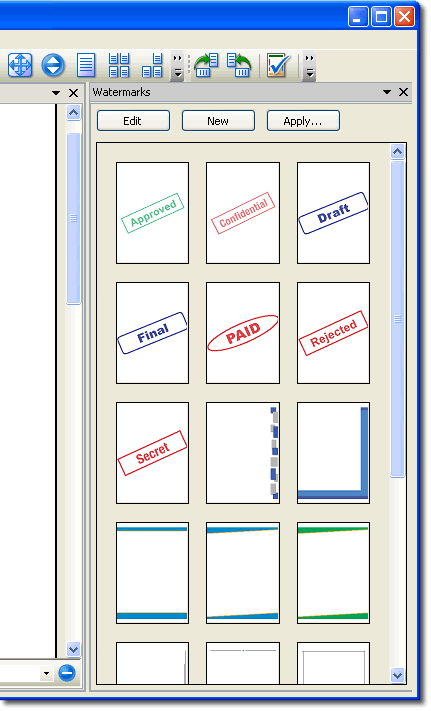 Use drag and drop to rearrange page order in a file or between multiple files allowing selective conversion. 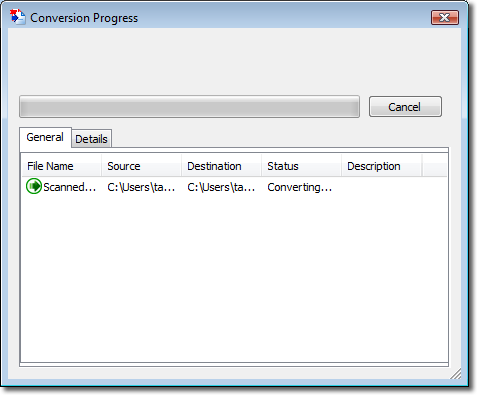 Save time by using batch conversion palettes in the UI.